"What is more precious to all of us than the Antiochian Village?" His Eminence Metropolitan JOSEPH asked the members of the NAB and Spiritual Advisors this question as he prepared to tell us the theme of our 2019 NAB PROJECT. "The Antiochian Village is the HEART of our Archdiocese." As Metropolitan JOSEPH pointed out, the success of the Village has brought us to a point where we have outgrown our current facilities. The success of our camping program means that the St. Ignatius Chapel is not large enough, and does not have enough flexible space to meet the needs of our children. And the continual growth of our Archdiocese means that the Ss. Peter & Paul Chapel cannot hold all of the clergy who now attend our Symposia. They have been forced to break into smaller groups and feel separated from each other. A new cathedral, with well-designed meeting spaces, is needed so that we will have one physical place which serves to unify us. Also, a cathedral is meant to serve as a beacon to everyone as they gaze upon the symbol of the Heavenly Jerusalem, that perfect "new creation" which spans the infinite chasm between the world and God. 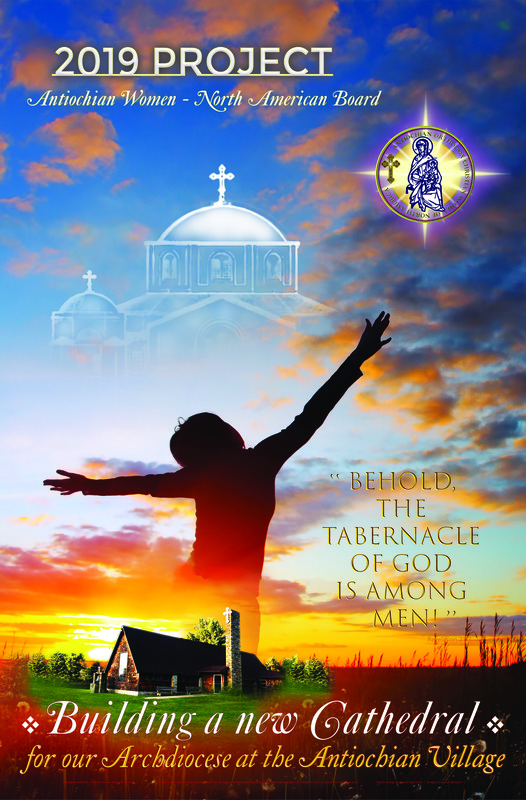 In the Revelation to St. John, in witnessing this miracle descending from Heaven, the Angel of the Apocalypse cried out, "Behold, the Tabernacle of God is among men!" 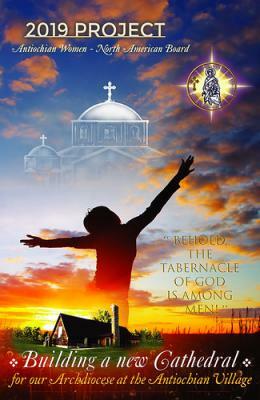 (Revelation 21:3) The architecture of our Orthodox churches is meant to proclaim, in stone and mortar, this mystical reality of God descending to dwell among His people. It also, simultaneously, serves as the gateway to Paradise – an entrance that has been re-opened to mankind by the sacrifice of our Lord's fleshly tabernacle upon the Cross. Metropolitan JOSEPH reiterated that the Holy Orthodox Church has one mission: to evangelize the world for Christ. He said that we evangelize by word, by music, by prayer,​ and also by architecture and the Holy Icons. He gave us several examples of how this evangelism can happen through the wordless – although powerful – testimony of our Orthodox architecture. He described our new churches built in Yakima, and Tucson, and Salt Lake City. He said that many people have been drawn to join these parishes because in beholding the physical church building, they had an intuitive sense that this place was where they could find God. They were drawn to hear the good news of the Gospel through the proclamation of our architecture that "Christ is in our midst!" We often refer to the Antiochian Village as being our "holy mountain." Metropolitan JOSEPH has the vision of building this new cathedral on the highest point of the Antiochian Village, near the entrance road, so that it can be seen over a great distance. The inspiring testimony of its domes and crosses will send out the blessing of God across the Ligonier Valley. And then when our many groups gather at the Village – our children for summer camp; our bishops, priests, and deacons for the Clergy Symposium; our families for Family Camp – and when we host the Special Olympics and the OCF College Conference, or when outside groups come to the Village for their meetings and events, as we ascend the path up to our new cathedral, we will have the sense that we are literally ascending the "mountain of the Lord" (Psalms 24:3). So, let's immediately start our fundraising for this inspirational, "once-in-a-lifetime" Project. 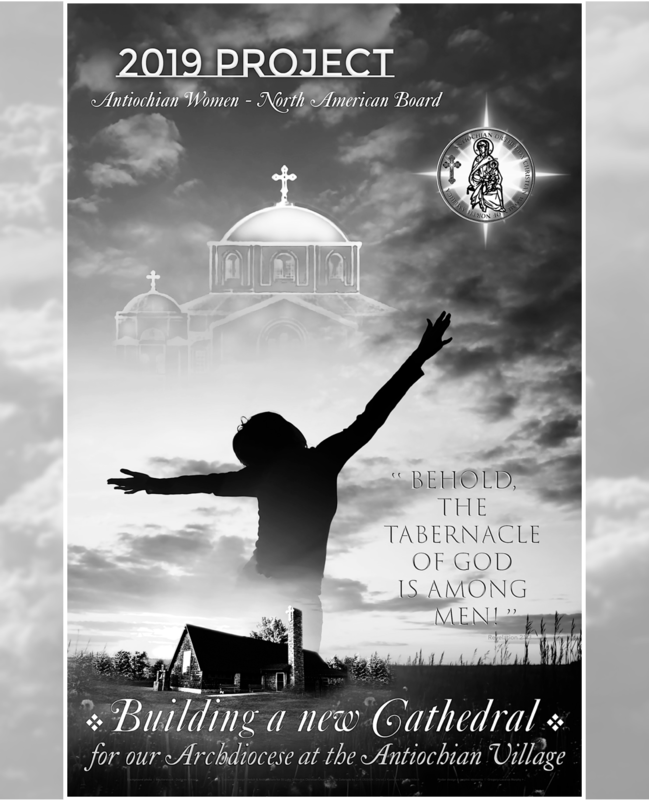 Building a cathedral that will truly bring us all together at the Heart of the Archdiocese is going to require a large investment of time and money. Let's make a special effort this year so that we can see the results in a very special and splendid cathedral for our Archdiocese at the Antiochian Village. On behalf of the entire North American Board of the Antiochian Women, I thank you in advance for your tireless labor for this worthy cause. NOTE: This letter and poster is being sent to every parish and mission, to all the Hierarchs of our Archdiocese, and to the NAB officers and diocesan Project Coordinators as a way to kick-off our 2019 PROJECT. Please display the poster and share the contents of this letter with all of Faithful so that we can build enthusiasm for this inspiring project and begin our fundraising efforts immediately. Thank you!